An x-ray (radiograph) is a noninvasive medical test that helps physicians diagnose and treat medical conditions. X-rays are the oldest and most frequently used form of medical imaging. At Indraprastha Apollo Hospital, we use fully digital x-ray techniques. Mammography is the process of using low-dose amplitude-X-rays to examine the human breast and is used as a diagnostic as well as a screening tool. Mammography helps in early detection of breast cancer, typically through detection of characteristic masses and/or micro calcifications. What is Ultra Sound ? Monitor the growth of an unborn child, and check for abnormalities. Detect abnormalities of heart structures such as the heart valves. Help to diagnose problems of the liver, gallbladder (such as gallstones), pancreas, thyroid gland, lymph nodes, ovaries, testes, kidneys, bladder and breast. CT or CAT scans are special x-ray tests that produce cross-sectional images of the body using x-rays and a computer. These images allow the radiologist, a medical doctor who specializes in images of the body, to look at the inside of the body just as you would look at the inside of a loaf of bread by slicing it. It provides a highly detailed look at many different parts of the body. CT scan can be conducted for any part of the body. CT scans of internal organs, bone, soft tissue and blood vessels provide greater clarity and reveal more details than regular x-ray exams and helps radiologists to easily diagnose problems such as cancers, cardiovascular disease, infectious disease, trauma and musculoskeletal disorders. An "angiogram" generally refers to a medical imaging study that is used to look at arteries in the body. The purpose of an angiogram is usually to determine if there is narrowing in arteries or some other disease that may impair blood flow. 64 Slice CT angiograms refer to angiograms completed using computed tomography technology. These studies are increasing in use because of the excellent image quality. Magnetic resonance imaging (MRI) uses a strong magnetic field and radio waves to produce detailed pictures of the inside of your body. MRI scans can show muscles, joints, bone marrow, blood vessels, nerves and other structures within your body. An MRI scan can create clear pictures of most parts of the body. thyroid scans - used to evaluate thyroid function. gallium scans - used to diagnose active infectious and/or inflammatory diseases, tumors, and abscesses. breast scans - often used in conjunction with mammograms to locate cancerous tissue in the breast. Positron emission tomography (PET) is a highly specialized imaging technique using short-lived radiolabeled substances to produce powerful images of the body's biological function. PET is especially useful in the context of cancer because it can detect metastatic tumours that may not be visualized by other imaging techniques. It is also being increasingly used not only as a cancer diagnostic tool, but also to help physicians design the most beneficial therapies. What is Dexa Scan ? Dual Energy X-ray Absortiometry, or DEXA scanning, is currently the most widely used method to measure bone mineral density. Interventional Radiology is a medical specialty that uses image-guided, minimally invasive diagnostic and treatment techniques that are often an alternative to surgery. We utilize radiologic guidance, comprised of fluoroscopy, CT, and ultrasound, to perform an ever-growing spectrum of minimally invasive procedures throughout the body. 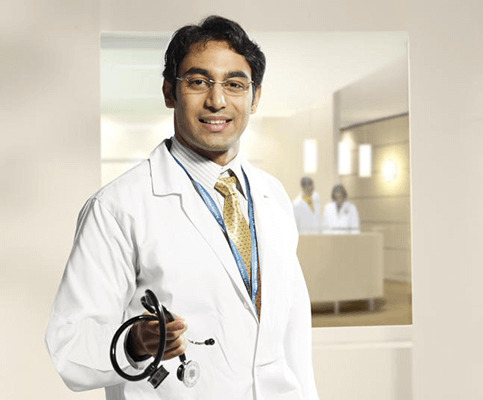 The Indraprastha Apollo Hospital’s interventional physicians are highly trained in imaging, radiation safety, the performance of medical procedures, and patient management. We utilize the most up-do-date technology to perform the highest level of vascular and interventional radiologic services and provide safe and effective patient care. Digital Subtraction Angiography (DSA) is a type of fluoroscopy technique used in interventional radiology to clearly visualize blood vessels in a bony or dense soft tissue environment. DSA is primarily used to image blood vessels. The Allura Xper FD20 installed at Indraprastha Apollo Hospitals has the capability to perform routine as well as very complex procedures, such as 3D RA, Xper CT, Xper guide, Vaso CT and CT-MR fusion with DSA. The instrument’s capability, coupled with the clinical skills of our highly qualified experts makes complex vascular interventions seem simple. Every care is taken to provide best possible treatment and deliver services with a human touch. Embolization of intracranial/extracranial AV malformations.